The Stygian Elves hail from the Bleak and unforgiving Ash Isles - rocky Islands perpetually covered in black ash from a range of violently active volcanoes on the mainland to their east. 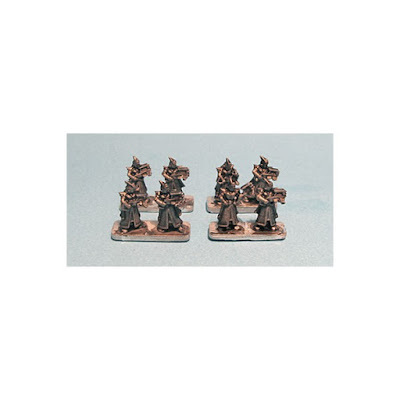 This ash blots out the sun, and covers their kingdom in constant darkness. 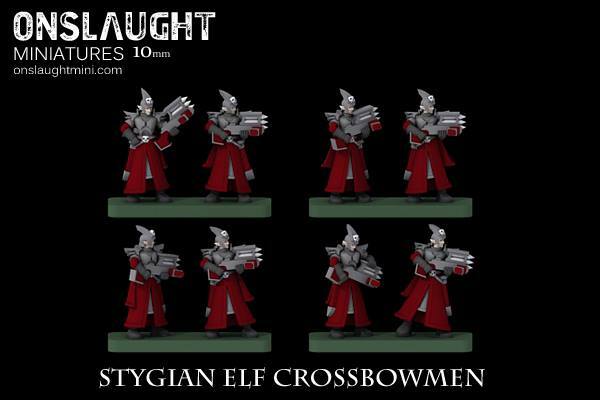 A Stygian Elf Spearmen﻿﻿﻿ unit consists of 12 random Stygian Elf Crossbowmen Skirmish ranks.